Creating classy coifs is a snap thanks to our super-cute shimmering flower headband! 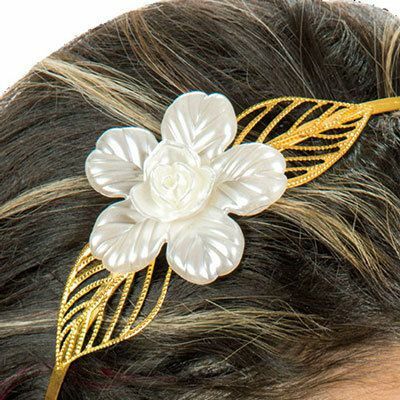 Made of gold-tone metal and features delicate cutwork leaves that complement a pretty pearlized flower with rosette center. One size fits most. The headband is exceptionally well made and the design will compliment your wardrobe beautifully.